The spin-off to the Breaking Bad, Better Call Saul has been renewed for a fifth season. The series has been dealing with declining ratings, however, despite that, AMC has been generous to the series, as it has still prospered. Better Call Saul Season 4 was pretty interesting, and after the finale, fans have been getting impatient for Season 5, and luckily the show was renewed, and according to reports, the team has already started working on Better Call Saul Season 5. So, here is everything that you need to know about the upcoming Better Call Saul Season 5. While the storyline is yet to be revealed, however, reports suggest that Season 5 will pick up from where it ended, and Jimmy’s revelation to Kim was like an emotional ride for fans, and we expect to see what unfolds after that. However, many are predicting that they might have some problems as Jimmy will start transforming into Saul, which might not work well with Kim. We might even see Jimmy leaving Kim as he can do anything for his career. Their relationship status will be something to look forward to in the upcoming season. Along with that, Saul Goodman and Mike’s transition will be a focus as well. Still, we will keep you updated as soon as we get the official announcement. 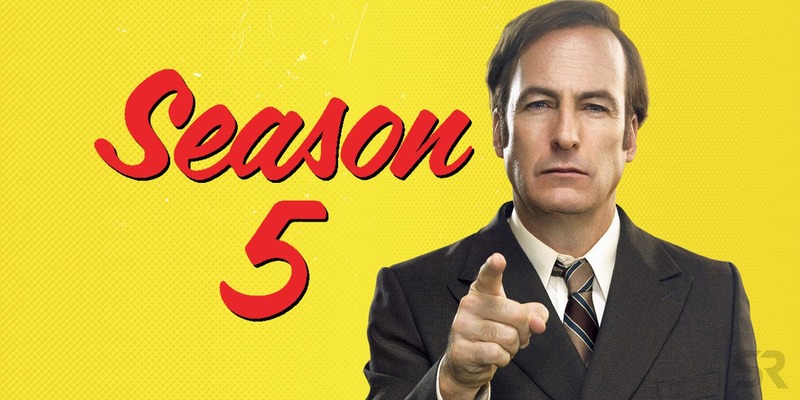 Better Call Saul season 5 will start shooting in Albuquerque, New Mexico, and the shooting is supposed to start in April 2019. Better Call Saul was renewed for a Season 5 in August, and according to the filming schedule, Better Call Saul Season 5 could be released by the end of 2019, or in early 2020. Stay tuned to OtakuKart for more details! We are getting some heartbreaking news about the next season, which might also bother you. No, it is not related to cancellation or anything near that so that you can chill a bit for now. It is about Kim, the character we all know is supposed to get killed eventually. The main reason is that Breaking Bad does not feature Kim, and it means we will be seeing something wrong happening to her. Well, the next season will also be revolving around Kim and Jimmy’s relationship, and they are supposed to have too many problems. But I hope they just separate with a smile rather than something bad happens. We even heard Peter Gould said, “All I can say is, I’d be very sorry if something terrible happened to Kim…,” which was horrible itself. The statement came out in October 2018, and I am afraid that Kim might not be in the sixth season. I hope I am wrong, but it seems like Kim might not make it alive from season 5. Talking about the release date, it looks like there nothing more we can elaborate than discussed above. So, keep waiting for Saul fans! I know all the Breaking Bad, and Better Call Saul fans have been waiting to see the show back, although it looks like nobody expected what the actual case is. We recently heard AMC president Sarah Barnett announcing the unfortunate news. She said, “It’s driven by talent needs, which we would not override if it would result in a worse show,” which was a big shock to all the Saul Goodman fans. By the statement, she tried to justify the delay, which would be restraining the show from returning in 2019. Many are relating the delay with the upcoming Breaking Bad film, and it might be the cause. The show is delayed to an unannounced release date of 2020. So, stay tuned to know more!